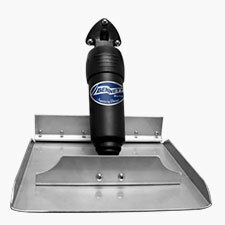 Trim tabs improve the performance of your boat by adjusting the running angle of your vessel. 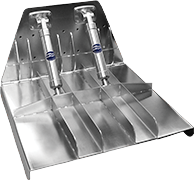 Bennett trim tabs help reduce bow rise, get you on plane faster, correct listing, improve visibility, and increase efficiency. 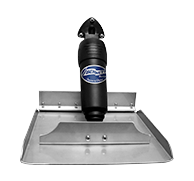 Properly sized trim tabs improve the performance of your boat by adjusting the running angle of your vessel. 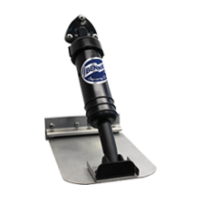 Bennett Marine trim tabs help you get on plane faster, correct listing (roll), improve visibility, and increase overall efficiency and control. Exceptional electric systems designed to outperform the competition. Designed for limited transom space. Less than 6.5″ vertical space required. Sophisticated black powder-coated hydraulic Performance Tabs. In general the widest span tabs that will fit on the transom will be the most effective. The greater the surface area, the greater the lift. 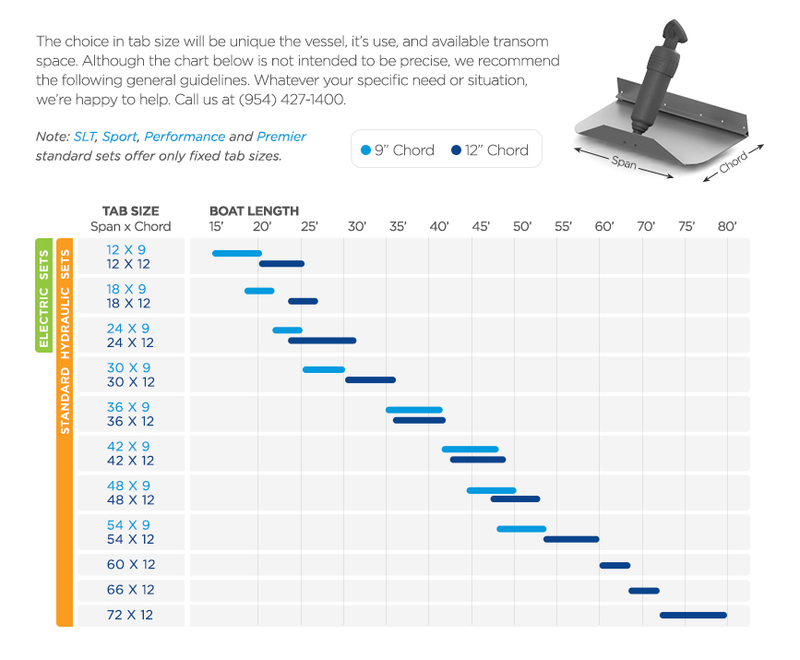 We‘ll typically recommend a 9” chord tab, but depending on available transom space a shorter or longer chord tab, or specially shaped tabs with upfins or dropfins may be advised. As a general rule for boats with max speeds of 40MPH, choose at least one inch of trim tab span (per side) for every foot of boat length. For example, a 22′ boat would use a 24”x9”. For speeds 40MPH and over, we’ll generally point you to one of our Performance, or Premier Line high-performance systems. 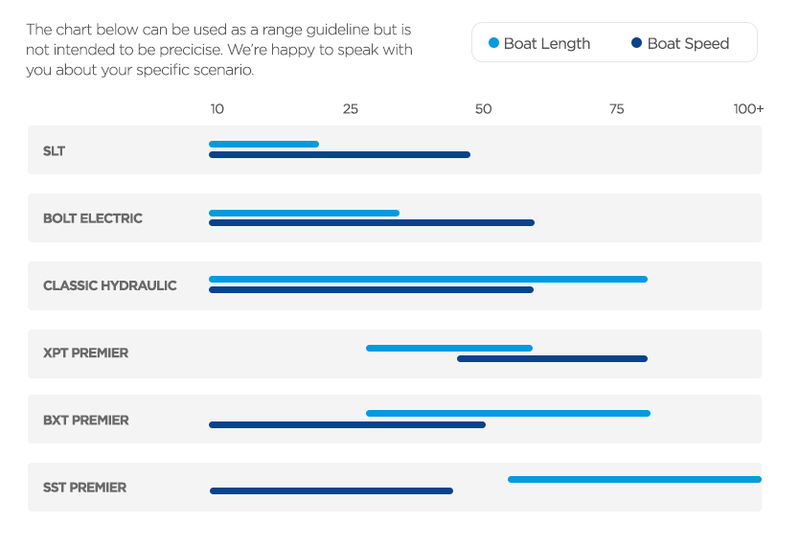 Choose the approximate tab size for your boat using the sizing chart below. 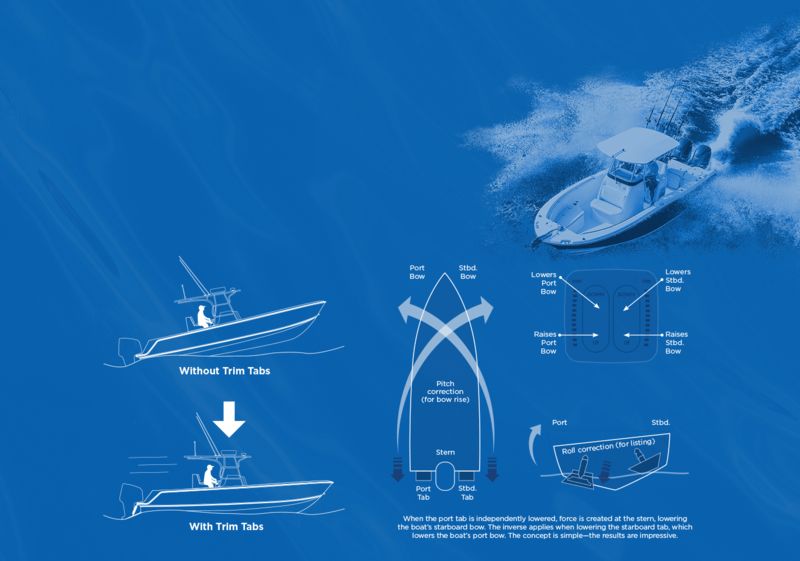 Make sure the tabs will fit your transom using the diagrams shown as a guideline. When measuring, disregard the strakes and follow the Vee of the hull. 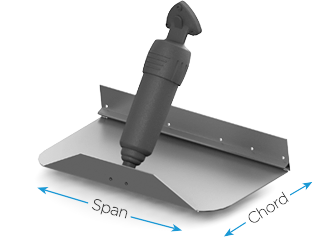 Limited Transom Space – Boats with twin outboards or twin I/Os, or boats with transom configurations that limit trim tab span, can use 12″ chord tabs to achieve maximum lift. Using the measuring guideline above, fit the maximum span tab and use the 12″ chord. Extra Lift – Slower boats (less than 15 mph), semi-displacement hulls, boats over 50 feet, outboard brackets or boats with any other feature that increases the need for lift aft benefit from the 12″ chord. The 12″ chord provides greater surface area, thereby utilizing more water flow and providing more lift. Transom Mount – This hinge style fits to the boat’s transom and is used in the majority of applications. 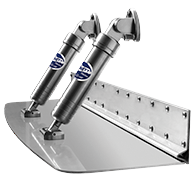 Bottom Mount – Used only when transom mount is not practical; requires a flat bottom with no strakes or other protrusions. We’re here to help! Call (954)-427-1400 or email BMI_Info@Yamaha-Motor.com. 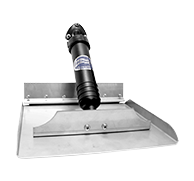 Trim tabs are super-easy to use and after just a few times using will become second nature. The concept is simple but the results are impressive! Benefits include: planing faster at slower speeds, reducing bow rise, correcting listing, correcting chine walking, correcting porpoising, and more. Enjoy the ride! The key to getting the best results from your trim tabs is to operate them in short half-second “bursts” and let the boat react before making another adjustment. The amount of time between corrections is influenced by the size of the trim tabs and the boat’s speed. 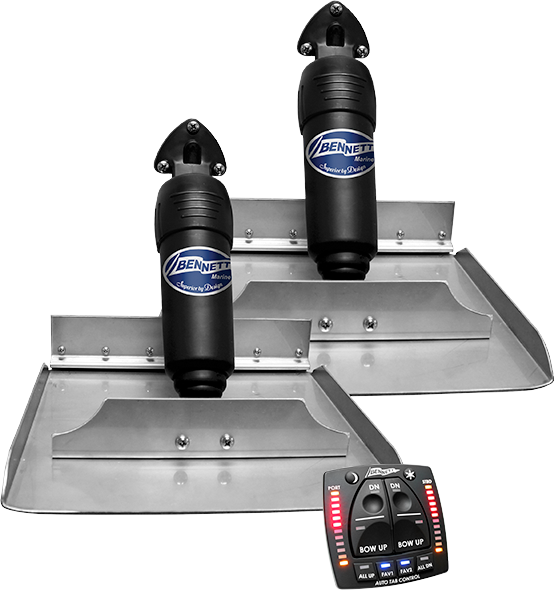 Curious about automatic trim tabs? Try AutoTrim Pro, it’s like cruise control for your trim tabs. Operating your tabs in small adjustments (see above) will help avoid over-trimming, which occurs when you’ve deflected the tabs too far. An over-trimmed boat will “plow” or “bow-steer.” If you over-trim the boat, simply press “Bow Up” and the bow of the boat will rise. Your boat may have been built to avoid this situation. 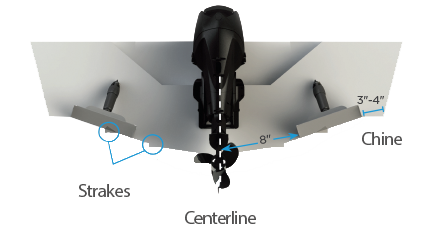 Bennett’s adjustable trim tabs enable a boat to be designed and rigged so it never runs in an over-trimmed condition even at the top end of its speed range. This avoids the hazardous combination of high speed and unpredictable handling. When steering from a bridge or tower, a good trimming method is to watch the bow spray, stern wake, or the rooster tail. An untrimmed boat will produce more spray aft of the bow and it will produce a larger wake. When trimmed, the bow spray is farther forward, the wake is reduced, and the rooster tail is smaller and farther behind the boat. You’ll also notice that the engine RPM will increase when the boat is properly trimmed. 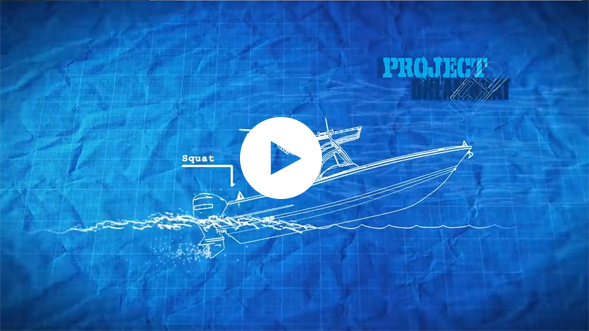 As a result of uneven weight distribution, prop torque or wind, a boat can run with a list. Deep “V” hulls are particularly vulnerable to this condition. Running with a list is uncomfortable, as well as unsafe. 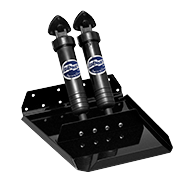 Bennett Trim Tabs operate independently for effective list correction. You can easily bring the boat level using your control. If the port bow is high, push the port side “Bow Down” direction (this lowers the trim tab on starboard side). If the starboard bow is high, push the starboard side “Bow Down” direction until the boat is level (this lowers the trim tab on the port side). Porpoising is a condition more common in faster, performance boats. As speed increases, the bow repeatedly rises out of the water until gravity overcomes lift and the bow bounces down, creating a rhythmic bouncing effect. Press “Bow Down” in half second bursts. As the trim tabs deflect, the porpoising subsides and your speed should remain the same or increase. Only a slight amount of trim tab deflection should be necessary. Properly sized trim tabs can significantly reduce the time needed to get up on plane. They also allow a boat to keep its bow down and stay on plane at lower speeds. As the throttle is advanced, the stern of the boat begins to squat, lifting the bow. As the boat accelerates, push the bow down position of the helm control in short bursts. The boat reacts by the stern lifting, the bow coming down, speed increasing and the engine laboring less. It is a common misconception that if a boat has power trim on the outboard or outdrive it does not need trim tabs. Yes, power trim can be used to adjust the boat’s attitude, but it is highly inefficient. This is because a propeller is designed to force the boat forward. When trimming the boat with the prop, the prop must not only push the boat forward but raise the stern as well. In this situation, prop slippage is greatly increased thereby wasting RPMs. Power trim also cannot correct listing, and is ineffective at slower speeds. 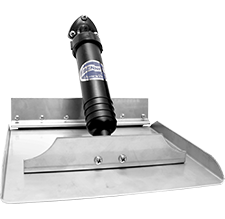 For increased speed and power, use your trim tabs WITH your power trim. Bennett Trim Tabs, in combination with power trim, enable both the hull and prop to be trimmed independently. The trim tabs trim the hull, while the power trim adjusts the prop. The result is optimum performance and efficiency not attainable by the use of power trim alone. 1. Adjust the trim tabs to achieve a planing attitude. 2. Use the power trim to position the prop path parallel to the water flow. 3. If necessary, re-adjust the trim tabs to “fine tune” your tabs. In other words, use your trim tabs to trim the boat and your power trim to trim your prop. For the most comfortable ride, when running into a head sea you want to trim the bow down so the sharp forward sections of the boat do their work cleaving the waves. This will bring the “V” of the hull in contact with the waves rather than having the waves pound the hull – and your passengers. For best maneuverability and maximum steering control, trim tabs should be fully retracted in a following sea, or when running an inlet. Keep the tabs up so the tide or current won’t push the stern from side to side. Boats operating with waves approaching from the side often throw spray up on the windward side. This spray often is carried aboard by the wind (particularly on smaller vessels). 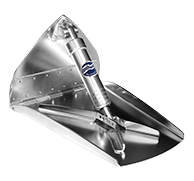 Trim tabs are used to raise the windward side of the boat, blocking the spray that blows over the boat, resulting in a drier ride. When operating the boat in reverse, both trim tabs should be fully raised. The trim tabs produce drag if they are left down in reverse. This puts strain on the tabs as well as affects the boat’s handling in reverse. Additionally, if one tab is deflected more than the other in reverse the boat tends to pivot around the deflected tab. Properly installed tabs, fully retracted have no effect on backing down. For over half a century, boaters have enjoyed the tangible benefits of Bennett Marine’s exceptionally durable and dependable marine products. We’re proud to say that boaters trust our brand. That’s because we stand by our products with the best warranty in the industry, and a customer service team second to none. Nevertheless, the marine environment is harsh and equipment takes a beating. Like any other piece of machinery, there are preventative measure that can be taken to ensure the longest, trouble-free life possible. Below are a few of the basics. 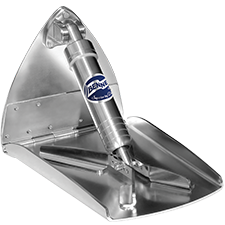 With trim tabs completely retracted, fluid level should be about 2 inches from bottom of reservoir (approximately 22 ounces). To refill, remove Lexan cover and filler plug located at the front left hand corner of the reservoir. FILL WITH ANY TYPE AUTOMATIC TRANSMISSION FLUID (ATF) ONLY. Brands or types of ATF can be mixed. Running HPU with an excess or lack of fluid will not cause damage. Periodically, check for clean electrical connections on all components. Cold temperatures do not affect the trim tab system. No winterization is necessary. 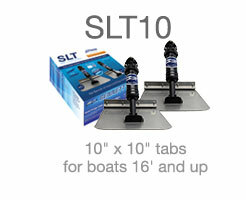 (SALTWATER ONLY) To deter electrolysis, a zinc anode should be attached to the top of each trim tab. Zinc must make direct contact with stainless steel. Do not paint zinc. Do not ground trim tabs to other underwater appendages. 1. Clean surface of all grease, oil, dirt. 2. Apply two coats of epoxy metal primer. 3. Apply two coats of anti-fouling paint. Actuator, including the piston, may be painted. Unpainted trim tabs may acquire an orange discoloration. THIS OXIDATION OF SURFACE CARBON MOLECULES IS NORMAL. The integrity of the stainless steel is not affected. Orange coating can be cleaned off, but may eventually return. NOTE: This discoloration should not be confused with the pitting and corrosion of electrolysis. 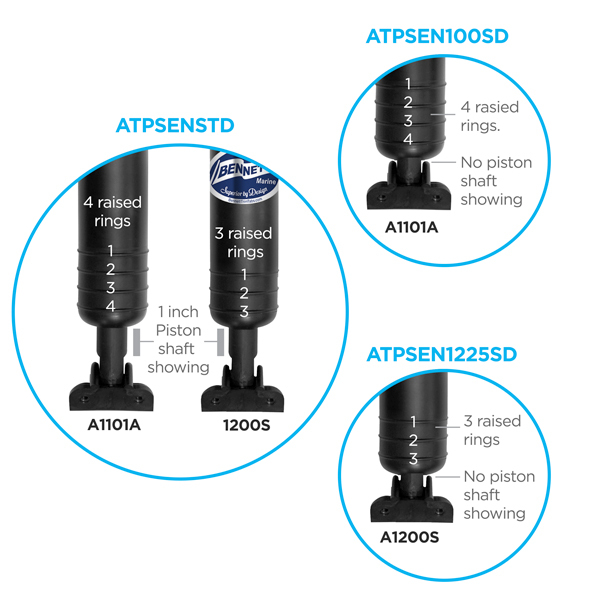 Take immediate action to correct any malfunction or failure of your trim tabs. Occasionally, check for loose or corroded wiring connections. Stepping on the trim tab may cause damage to the unit, or injury. Make sure the HPU (pump) or control units are mounted in a dry location to avoid drenching and consequent failure. Leaving the actuator extended when boat is not in use will NOT cause seal damage. For hydraulic systems, occasionally, inspect HPU fluid level. Do not over-trim, particularly at high speeds as the bow will dig in and wave action may cause the boat to veer. 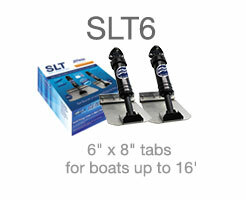 While underway, do not move one trim tab significantly farther down than the other as undesirable listing could occur. Use your trim tab helm control with caution. For best maneuverability, trim tabs should be fully retracted in a following sea, or when running an inlet. Improper use of trim tabs can cause an accident or injury. 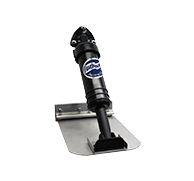 Bennett Trim Tabs have a significant effect on the operation and versatility of your boat. No one knows your boat better than you. The best learning method is to spend time getting familiar with your boat’s reaction to the trim tabs. 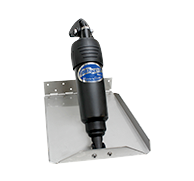 As your experience with Bennett Trim Tabs increases, so will your enjoyment. Always operate your boat with safety first in mind. We’re here to help! Give us a call at (954)-427-1400 or email BMI_Info@Yamaha-Motor.com.